STOP WEEDS BEFORE THEY START. Recommended for use with nearly 200 bulbs, flowers, roses, shrubs, trees, and vegetables. A single application lasts for up to 3 months. Easy to apply granules can be used anytime. Excellent for use under mulch. just sprinkle on the granules and water for complete barrier against weeds. PLEASE CONSULT LABEL BEFORE USING. Prevents germination of weeds in a vegetable or other bed. Prevents them organically for up to 4 weeks. Does 250sf.PLEASE CONSULT LABEL BEFORE USING. Prevents weeds and feeds plants in one easy step. Balanced fertilizer promotes abundant blooms, increased yields and strong root development. Safe for use around over 200 established flowers, vegetables, trees and shrubs. One application fertilizes your plants and prevents weeds for up to three months. 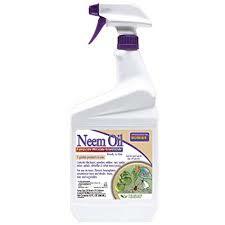 Preen Extended Weed Preventer up to 6 mths. Color Me Blue Endless Summer/2.75 lb. Messinas Animal Stopper can be used to discourage groundhogs, skunks, rabbits, raccoons and other common pests from devastating gardens, flowerbeds and sheds. With an abundant food supply and protection from the elements, low-level herbivores will forage, nest, and feed which will lead to crop loss and home damage. 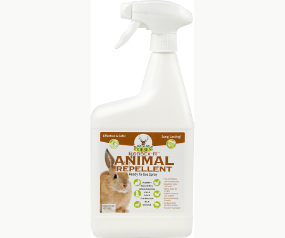 To prevent further home and garden harm, apply Messinas Animal Stopper to key areas. Our humane and safe Messinas Animal Stopper creates a sensory barrier that works by smell, taste and feel and can be applied every 30 days regardless of weather or watering. It is pleasant to use, dries clear and odor free and is safe to use around fruits and vegetables. Messinas Deer Stopper II can be used to discourage deer, moose and elk from devastating plants (including gardens, shrubs, fowers and trees), bedding down and rubbing against tree trunks. With an abundant food supply and protection from the elements, deer will forage and feed leading to crop loss and other plant damage. To prevent further home and garden harm, apply Messinas Deer Stopper to key areas. Our humane and safe Messinas Deer Stopper II creates a sensory barrier that works by smell and taste and can be applied every 30 days regardless of weather or watering. It is pleasant to use, dries clear and odor free and is safe to use around fruits and vegetables. Messinas Dog & Cat Stopper can be used to discourage most dog and cat breeds from bedding down, spraying and entering plant beds, mulch, lawns and other areas while also keeping them off of sils, furniture and other unwanted areas. To prevent further home and garden harm, apply Messinas Dog & Cat Stopper to key areas. Our humane and safe Messinas Dog & Cat Stopper creates a sensory barrier that works by smell, taste and feel and can be applied every 30 days regardless of weather or watering. It is pleasant to use, dries clear and odor free and is safe to use around fruits and vegetables. When using on fabrics or other areas in danger of staining, always test a small piece before using on large areas to ensure it is suitable. Messinas Mole & Vole Stopper can be used to discourage moles, voles, shrews and related anmals from foraging, nesting and tunneling damage. To prevent further home and garden harm, apply Messinas Mole & Vole Stopper to key areas. Our humane and safe Messinas Mole & Vole Stopper creates a sensory barrier that works by smell, taste and feel and can be applied every 30 days regardless of weather or watering. It is pleasant to use, dries clear and odor free and is safe to use around fruits and vegetables. Bobbex-R Animal Repellent is a unique formulation that protects against damage by the browsing of smaller four legged pesky herbivores that find the odor and taste extremely offensive, including rabbits, ground hogs, chipmunks, squirrels and voles. Helps protect your plantings from reduced moisture content during periods of water reduced weather conditions. Also reduce damage from a late spring or early fall frost. A year round product for all types of plantings, will not wash off in rain. Environmentally compatible, harmless to animals, fish, birds, and insects. Contains no petro-chemicals, and is made from natural and recycled ingredients. Active ingredients: organic protein and fiber. Bob-Ex/Deer Repellent 32 oz. ready to use. 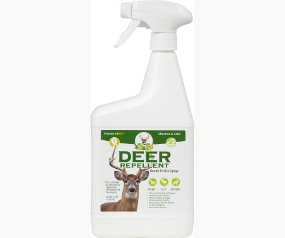 Bobbex Deer Repellent And Plant Nutrient is a foliar spray containing commonplace materials and recycled ingredients. Apply directly on the surface of foliage to repel white tail deer, black tail deer, mule deer, elk and moose. Environmentally compatible and harmless to all wildlife including fish, pets, humans, birds, insects, etc. Can be sprayed on any ornamental including flowering shrubbery. Will leave a slight visible residue to let the homeowner know it remains on the plant and is working to prevent deer damage. Long lasting, non-burning and will not wash off in rain. Helps protect your plantings from reduced moisture content during periods of water reduced weather conditions. Also reduces damage from a late spring or early fall frost. Active ingredients: organic protein and fiber. 32 oz. RTU spray bottle; 32 oz. concentrate bottle makes up to 2.5 gal. of mixture; 48 oz. RTU pump sprayer; 64 oz. concentrate bottle makes up to 4.5 gal. of mixture; 128 oz. RTU refill bottle.